Vice Admiral James Wisecup recently sat down with me to chat about books and how they have shaped him throughout his career. It was a wide-ranging discussion — covering everything from poetry, science-fiction, history, and some of his favorite authors. Following our conversation, I purchased some of the recommendations he offers below. Suddenly, my stack of books to read has become much, much taller. The interview has been edited for style and length. I think everybody knows they should be reading. 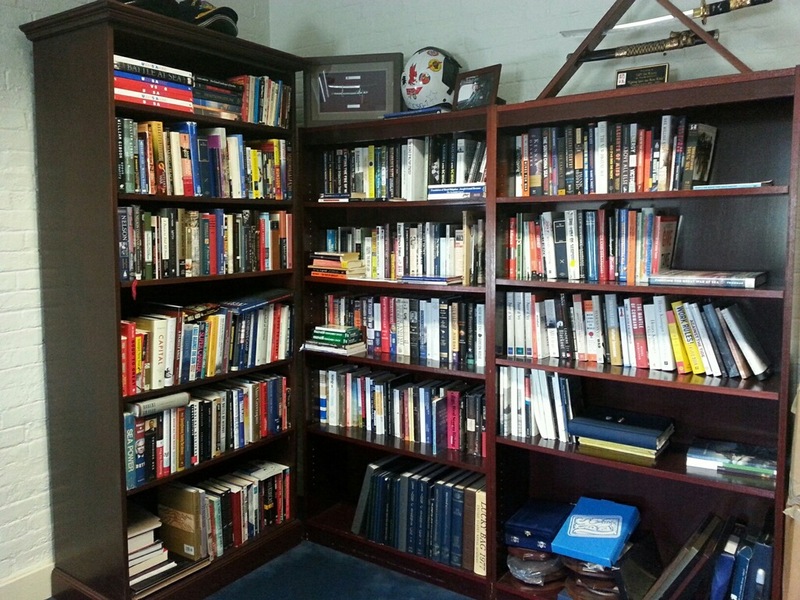 I think that many naval officers are voracious readers. I’ve talked to a few of my friends in the last couple of weeks. And one of the first things we always ask each other is: “What are you reading?” In the normal life of an active naval officer, you have to carve that time out to read, no one is going to give it to you. If you are going to work those long days then you have to cultivate it in yourself. And it is a lifelong thing if you do. In formal education you can develop that, but you know, the naval officers’ ability to carve that time out to read is a personal thing, you either do or you don’t. Unfortunately, everybody doesn’t make time to read. What are three of your favorite biographies? And why? 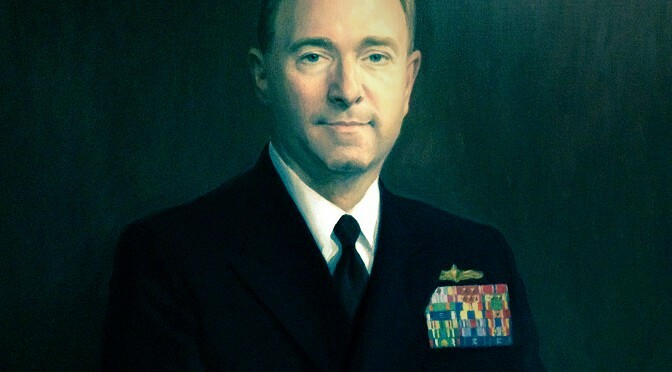 Admiral James O. Richardson. He was relieved in 1941, shortly before the attack on Pearl Harbor. Harbor. Richardson was the fleet commander before Husband Kimmel. Richardson got across the breakers with FDR over whether the fleet should stay out in Pearl Harbor and watch it diminish little by little, because there was no place to train — or to bring it back to United States for training. 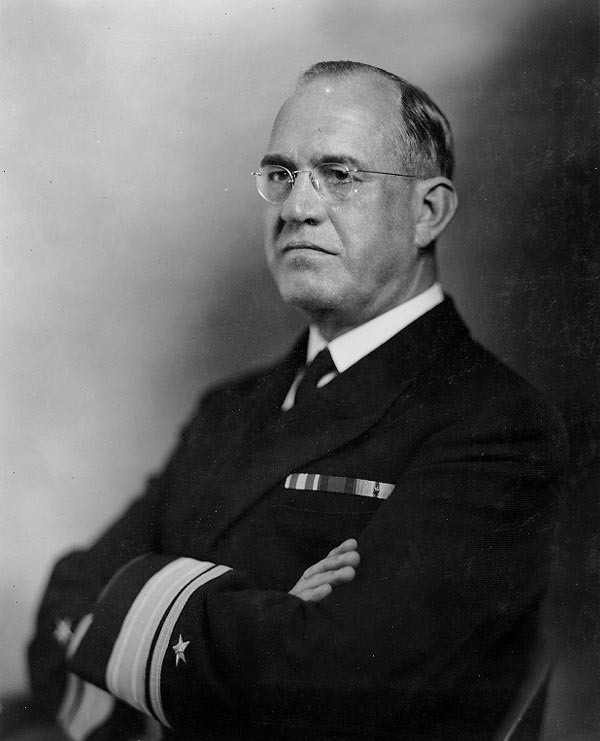 Richardson wanted to bring the fleet back to the U.S. Well, in the end, Roosevelt wanted to leave the Fleet out in Hawaii, so Richardson was asked to retire. He was relieved by Husband Kimmel. That’s one book I like. I also enjoy the biography of Admiral Spruance, The Quiet Warrior. Another book that I like is Eric Larrabee’s Commander in Chief. Larrabee’s chapter on FDR is excellent. All three of those books are great. What books do you think are timeless — ones that you would recommend to officers from ensign to admiral? The first book that appealed to me when I was a young officer was a book of collected essays by Jonathan Swift. I read them when I was in my frigate wardroom. This was years ago. These were the days before TV. In that book was an essay he wrote on good manners and good breading. I encourage you to read it. It’s very interesting. And it is where I developed some of my philosophy, some of my thinking. The key thing he says in there, is that the person with the best manners is the person who makes others feel at ease. When people think about manners they think about how they hold their fork, and sit, etc. But in the end what it really has to do with is a way of being. Whether you want to put the other person at ease or make them tense. I have also recently been reading books about the Greeks. Of course, part of that started when I was at the naval war college, with Thucydides. J.E. Lendon wrote a book called Song Of Wrath. And it is another take on the Peloponnesian War, and it is very interesting. I like short stories, myself. One is a collection of stories by Richard McKenna called The Left-Handed Monkey Wrench. It’s a hard to find book. Richard McKenna wrote the well-known book called The Sand Pebbles. Well, The Left-Handed Monkey Wrench is a series of stories that he tells of essentially the old Navy. But what the book really is, is a book that talks about people. That’s whats interesting about it in my view. A lot of these kinds of stories are still relevant today because the people are still the central piece of the Navy. Even though we work with machines — and we work a lot with machines — it is still about the stories you tell are rarely about the machines. They are mostly about what people do. The Admiral’s at work library. There’s an author named Robert Harris who has written two books on the Romans, one is called Imperium the other is called Conspirata. One of my heroes is Cicero. While he wasn’t a perfect man, Harris tells the story of how Cicero rooted out corruption in many places. He also tells the story as his rise as a magistrate. What you really see from reading these types of stories is that human nature is unchanging over time. As I’ve read more-and-more of the classics, that’s what I’ve learned. There is a book by Steven Pressfield called The Tides of War where he talks about Alcibiades. It’s interesting because he basically says about Alcibiades is that “the Spartans understood battle, Alcibiades understood the rest.” I reread that and I thought it was very interesting. Steven Pressfield has also written three nonfiction books that are very interesting. The one I like the most is Do the Work. There are times where you have to simply buckle down and work. And if you know Pressfield’s story, you know he never had it easy. That’s right. I believe Pressfield wrote The Legend of Bagger Vance while living out of his car? Yes, that’s absolutely right. It’s a great story. Other books that you think are timeless? The other book that I came across — and this was in 1990, after Desert Storm — I came across the Norton Book of Modern War, edited by Paul Fussell. After I read it I wrote a letter to him. This was in the days before e-mail. He wrote me back on a postcard; he was in the imperial war museum doing research. 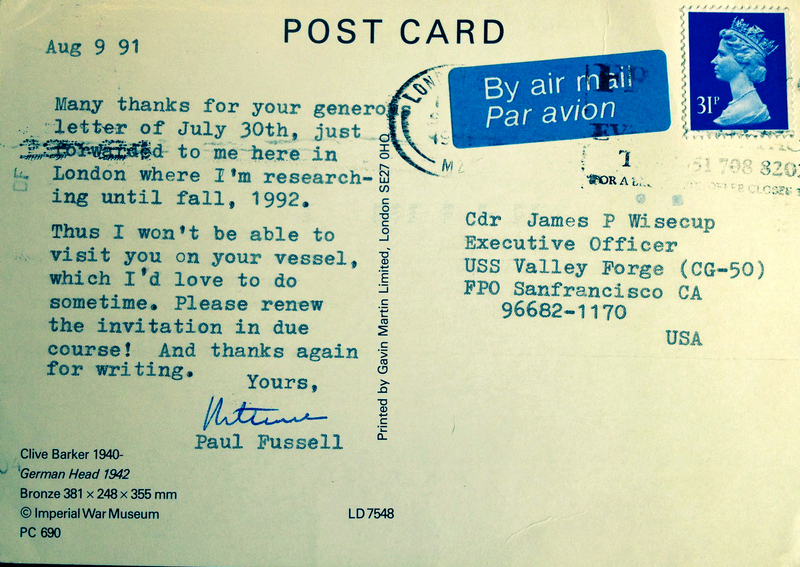 I was coming back from Desert Storm and I found Fussell’s book in Hong Kong, and I sent him a short note. You’ve had a long and distinguished career. Did you use books to prepare you for any of the jobs you have entered? I didn’t necessarily use my reading to help me prepare for the job I was going into. But often I came across books that were helpful when I was in a particular job. Here’s an example, War and Politics by Bernard Brodie, which falls in the timeless category, and every naval officer should read this. He writes this in 1973, and it really lays out the difference between the political and the military. In the first chapter, Brodie asks the question, quoting Ferdinand Foch — “What’s the war about?” Someone has to be able to explain what a war is about. In the end, it’s up to the politicians to decide what is worth fighting for, and then explain that to everybody. I also like to reread a section in The Thin Red Line, by James Jones. And a movie was also made about it. It is about World War II and Guadalcanal. It’s one of those books in which there is fighting, but it also talks about risk. What’s worth it? In other words, the captain in the book doesn’t want to take his men to attack a machine gun nest, because he doesn’t want to get them killed. There is some interesting dialogue in that book about what is worth it. What book or writers did you think were great stylists that helped you with your own writing? I love George Orwell. His essays are very interesting. He wrote a book called Why I Write. It’s a little Penguin book, only about 120 pages. But it is a great book. I’ve read most of his stuff and really enjoy it. I do. In the Fussell book there is a good bit of poetry. And some from the First World War; in it there is some from every war. Robert Graves, Siegfried Sassoon, they are all in there. There’s also some World War II poetry, like “The Ball Turret Gunner,” for example. Fussell has included poetry in there all the way up to Vietnam. So yes, I do like poetry. If you could only choose one book to take with you, a book that you would come back to over-and-over again, what book would that be? It is Paul Fussell’s book. I’ve read it and reread it. There are a lot of short stories in there, which are what I like. Another book that I must mention is Hemingway’s book, called Men at War, which came out in the forties. It is a selection of Hemingway’s favorite war stories. He included, in its entirety, Stephen Crane’s The Red Badge of Courage. I like Hemingway’s short stories as well. Oh yes. I particularly like William Gibson’s science fiction. And those books over there, those are some of the books in the Harry Turtledove series — for example, Legion of Videssos — which I was reading with my son. What’s your oldest book in your library? Oh, that is at home. It’s a book of Joseph Conrad’s short stories. Sir — Thank you for your time, I enjoyed it. Thank you. I enjoyed talking with you. Vice Admiral Wisecup is the Director of the Chief of Naval Operations’ Strategic Studies Group, assuming the position on 1 October 2013. He is from Piqua, Ohio. A 1977 graduate of the U.S. Naval Academy, he served 36 years of active duty service. He earned his Master’s degree in International Relations from the University of Southern California, graduated from the Naval War College in 1998, and also earned a degree from the University of Strasbourg, France, as an Olmsted Scholar, in 1982. Ashore, Wisecup was assigned to NATO Headquarters in Brussels, Belgium, served as force planner and ship scheduler for Commander, U.S. Naval Surface Forces, Pacific, and served as action officer for Navy Headquarters Plans/Policy Staff. He served as a CNO fellow on the Chief of Naval Operations Strategic Studies Group; as director, White House Situation Room, and Commander, U.S. Naval Forces Korea. He served as the 52nd president of the U.S. Naval War College. Lieutenant Commander Christopher Nelson is CIMSEC’s book review editor. Readers interested in reviewing books for CIMSEC can contact him at books@cimsec.org. Previous PostReturn of the Clandestine Merchant Raider?Next PostSea Control 90 – An Australian Marine Corps? Phil Wisecup is a good man and one hell of a mentor. Had the pleasure to serve under his command aboard USS Callaghan DDG-994. It was on that ship that my career in IT got it’s start, and I’m ever grateful. His leadership skills were second to none and I know of nobody who had anything negative to say about then Commander, now Retired Admiral Wisecup.